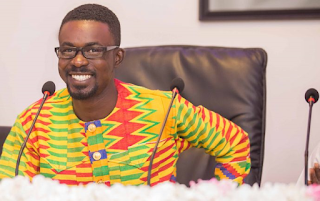 Home / Entertainment News / NAM1 / Nana Appiah Mensah / Zylofon Media / Nana Appiah Mensah Turns Down Call To Be An MP for Kasoa, Says He is Only Focused On Creating Jobs For Now. Nana Appiah Mensah Turns Down Call To Be An MP for Kasoa, Says He is Only Focused On Creating Jobs For Now. Nana Appiah Mensah is fast becoming a 'darling boy' for the majority of Ghanaian youth. In the space of less than five years, he is best know as the master brain behind Menzgold and Zylofon Media, a God-sent angel to the creative arts industry and a great advocate for the progress of Ghanaian millenials. Through his speeches, choice of investments, and known intentions, it appears safe to call him a staunch believer of the Ghanaian youth. Not too long ago, he made public his decision to create 1 million decent jobs for the youth in Kasoa (where he grew up) before the year 2023. In view of this, the good folks of Kasoa are already rooting for NAM 1 as he is popularly called, to move to represent them in parliament. In articles published by Ghanaweb.com, the youth of Kasoa are considering to start a movement to push this agenda. The Zylofon Media boss took to twitter to clear the air and to cement his stand on his vision for Ghana, amidst several rumors pointing to him having political intentions. Nana Appiah Mensah urged the folks of Kasoa to limit their minds and focus on the one million decent jobs he intends to facilitate. He added that, being a member of parliament is not his interest just yet, and that he is only looking forward to running his existing businesses, ushering in new ones and ultimately ensuring that Ghana prospers.